Every time i walk past Moosehead, i'm reminded never to forget making a reservation, if not i wouldn't be able to get into the contemporary Mediterranean restaurant. It's always full because their menu is always exciting. 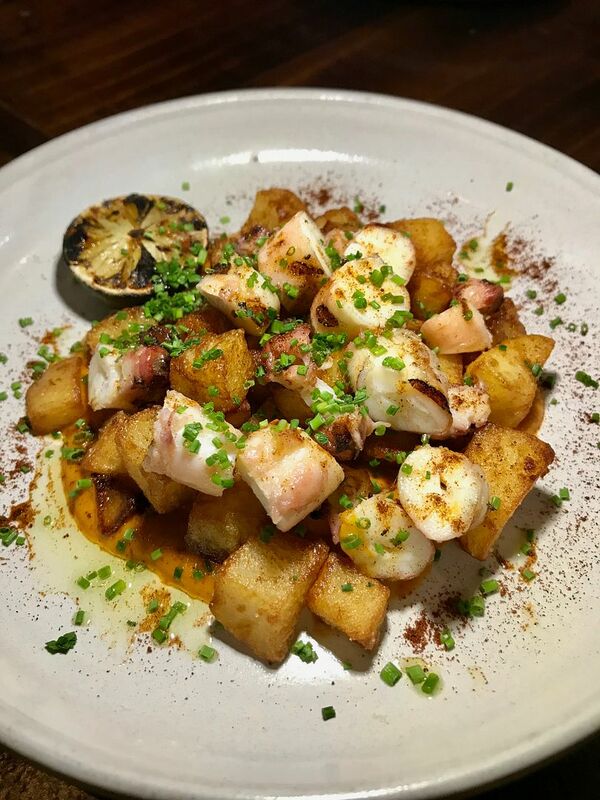 In the past year, they've had so many interesting collaborations with international and local chefs and hawkers, and all that has gone into inspiring their updated dinner menu. You HAVE TO start with Burrata ($21). Chef Seumas’s version may look simple but it tastes unlike any other burrata i've had. There are three other ingredients to this dish, other than a creamy Italian burrata. A crunchy house-pickled zucchini (with Chardonnay), fragrant Genovese-style pesto made with Thai basil, and an aromatic deep-fried deep-fried curry leaves lent depth to the sweet cream of the cheese. I thought i was having a Japanese dish when the Hokkaido Scallop Crudo ($21) was presented. 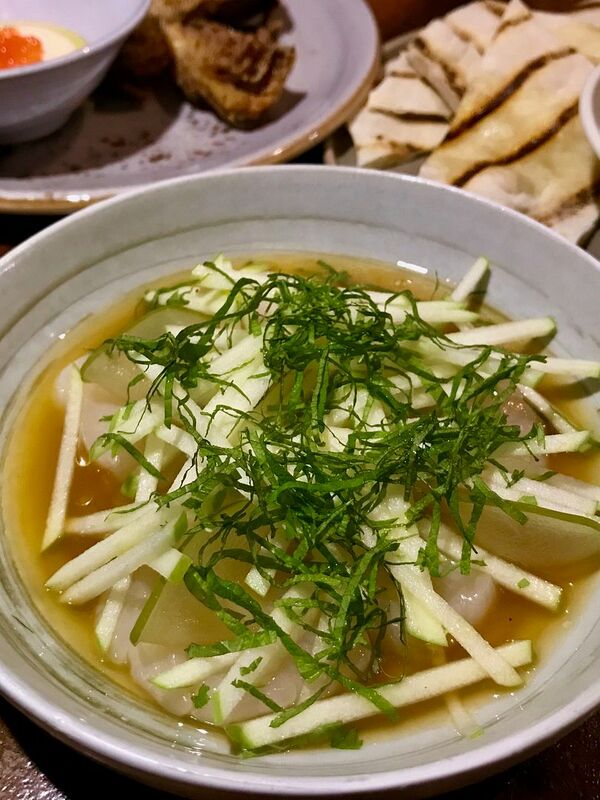 The thinly sliced ponzu-marinated Japanese scallops were served with apples pickled in housemade verjus pickle marinade and garnished with extra virgin olive oil, salt and pepper. There's a light refreshing spice at the end due to the yuzu and wasabi that went into the scallop marinade. Fried Artichokes with Taramasalata ($12) is another dish that we enjoyed. It's hard to believe the tempura has no meat in it. Paired with the savory mentaiko emulsion with salmon roe, each bite was addictive and we found it hard to stop ourselves. 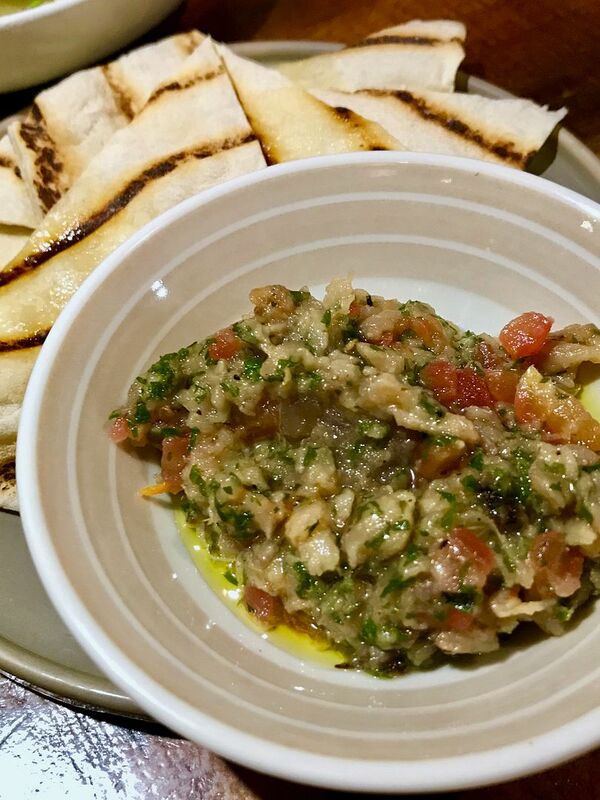 A typical Mediterranean appetizer is the Charred Eggplant and Garlic Dip with Flatbread ($10) that is made a la minute. If you like garlic, this spicy blend will satisfy. Like other simple dishes, there's always more to it than meets the eye here at Moosehead. 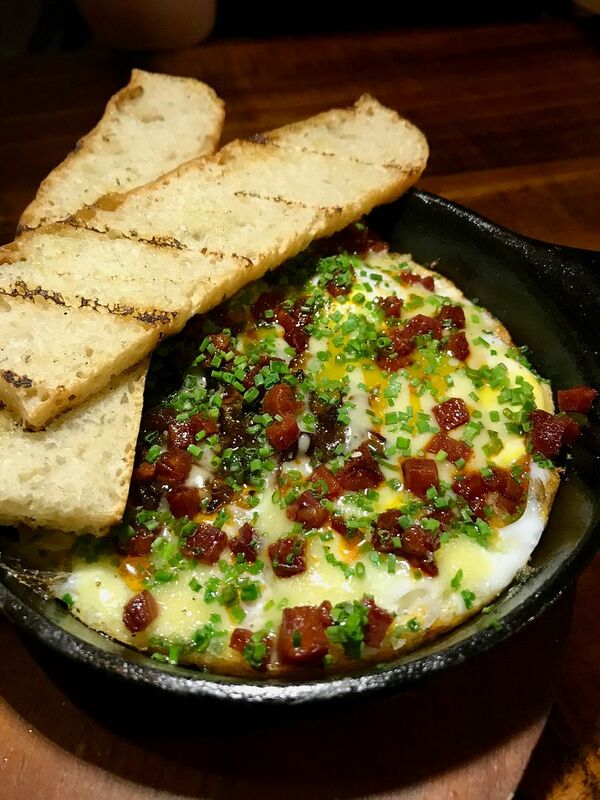 The INKA Fried Eggs ($12) feature eggs quickly cooked in a mini cast-iron pan, and finished off with confit leeks, sauteed chorizo dice and garnished with chives and garlic aioli. Whoever says no to breakfast for dinner? 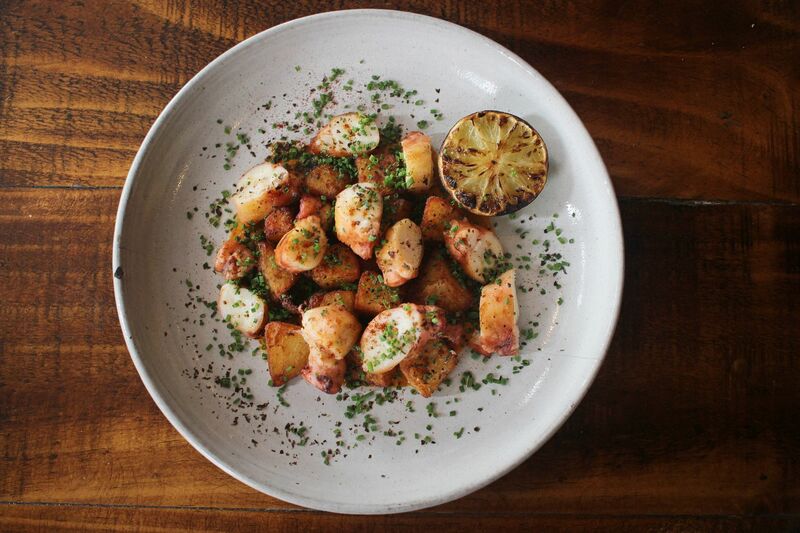 Another hit was the Octopus with fried potatoes, red pepper purée and paprika ($30). The octopus used is from the pure seawaters of New Zealand, is sous vide before being charred on binchotan. The red pepper sauce also looks simple, but comprises multiple ingredients including Inka-roasted whole peppers, capers, Semillon vinegar, cumin and coriander to create a subtle blend of the spicy and the savoury. AND OH THE POTATOES are amazing little fried pillows! Meat lovers would dig the O’Connor beef flank (200g $30, 300g $55) with mushroom ketchup, and roast spring onions. 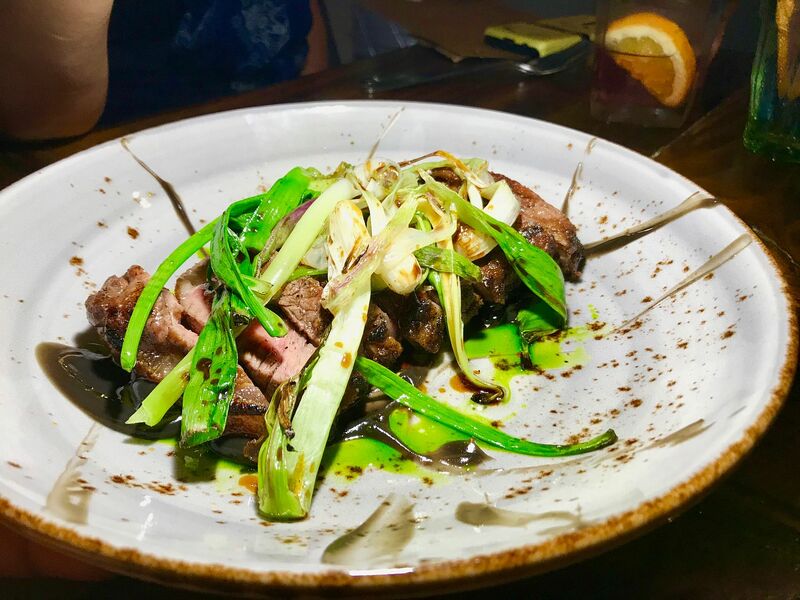 The meat is simply grilled in the Inka and paired with a delicious house made ketchup made with Swiss brown mushroom, Chardonnay vinegar and gastrique and an aromatic chive oil. Desserts are equally interesting. 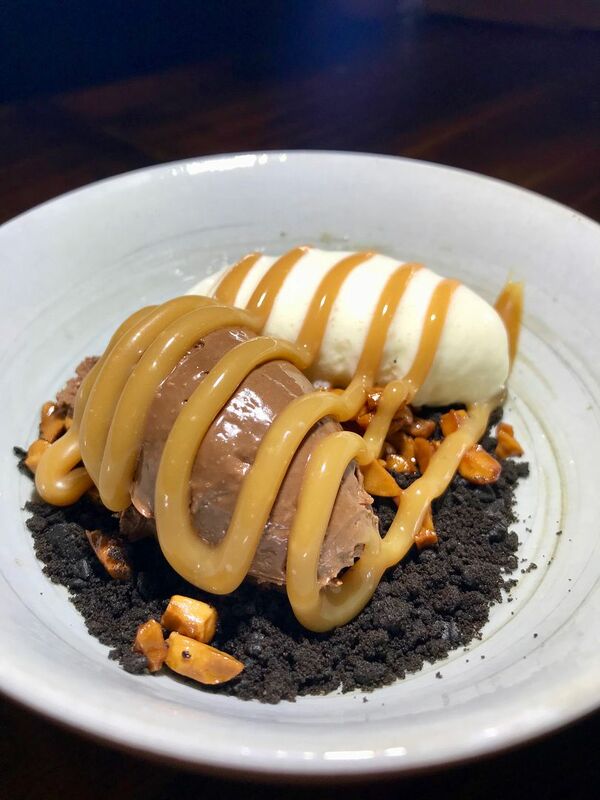 The Banana ice cream with coffee cookie crumble and toffee ($10) is made with inka roasted banana and a salted caramel mousse. 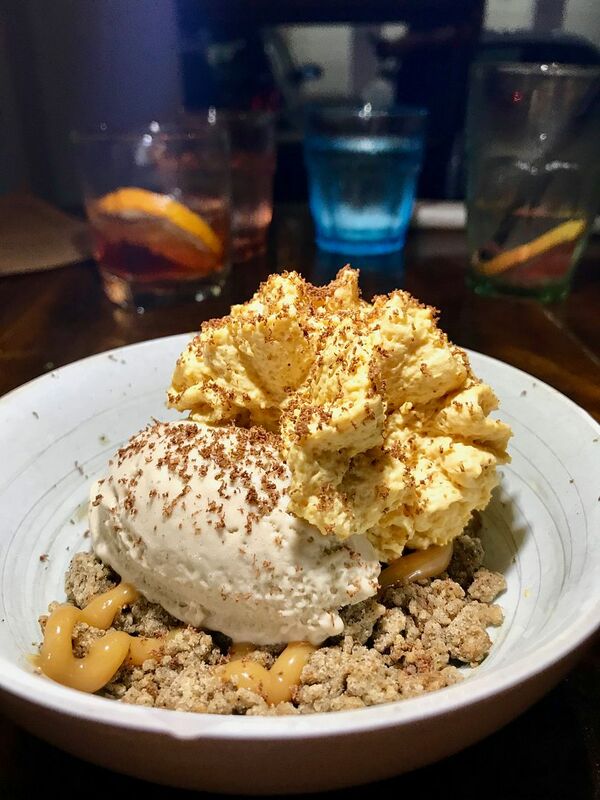 This dessert was inspired by a sticky-sweet banoffee pie and the classic banana jemput-jemput balls which chef Seumas tasted and fell in love with at a street food collaboration. My favorite dessert was the Chocolate mousse with salted caramel and vanilla ice cream ($10)! The salted peanuts are damn good and provided a lovely contrast to the sweetness of the airy-creamy mousse and ice cream. Plus the bed of chocolate soil. Snickers deconstructed it is! Make that reservation at Moosehead, and make it fast guys.